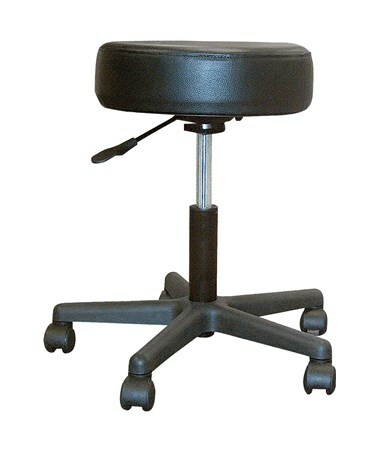 Pneumatic adjustment provides easy-touch height adjustment on this stool (with plastic base) by Drive Medical. 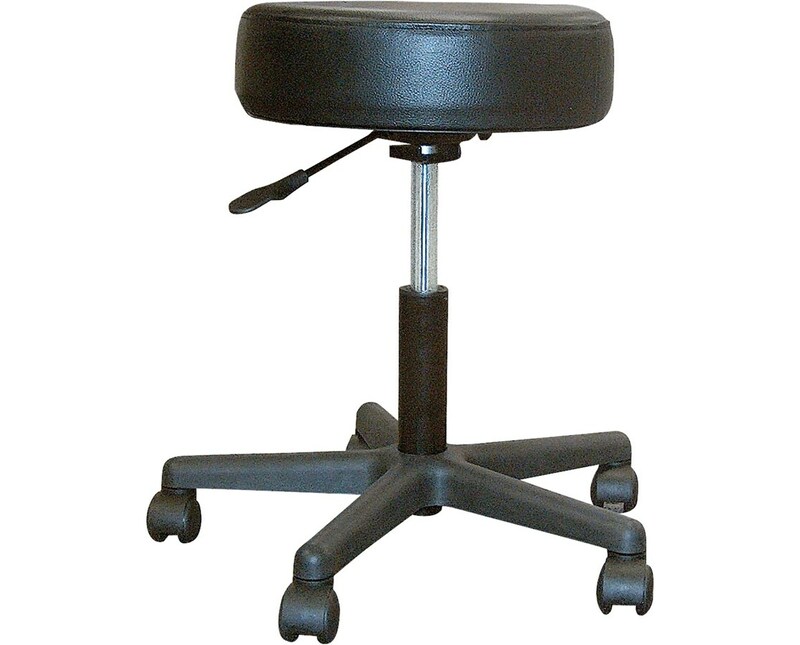 The revolving 14" round seat is padded with 4" of comfortable thick black padding. It leads to a solid steel shaft and standard composite plastic base that doesn't skimp on strength and security, as evident in the 250 pound weight capacity. 5 casters allow easy mobility around the room. Pneumatic adjustment provides easy-touch height adjustment. Height Range 19" - 22.5"